An evening of contemplations on Wordsworth’s famous ‘Daffodil’ poem celebrating the 200 years since the publication of the revised edition from Rydal Mount in 1815. Acclaimed poet Gary Boswell and Japanese artist Hideyuki Sobue were invited by the curators of Rydal Mount (Wordsworth’s home for over 30 years), Peter and Marian Elkington, to produce work for an exhibition there this year. The result was a collection of eclectic poetry and original paintings which are now collated in the book ‘I Wandered…’ published in a limited edition of 200 copies by SHINE OUT LOUD PUBLISHING. 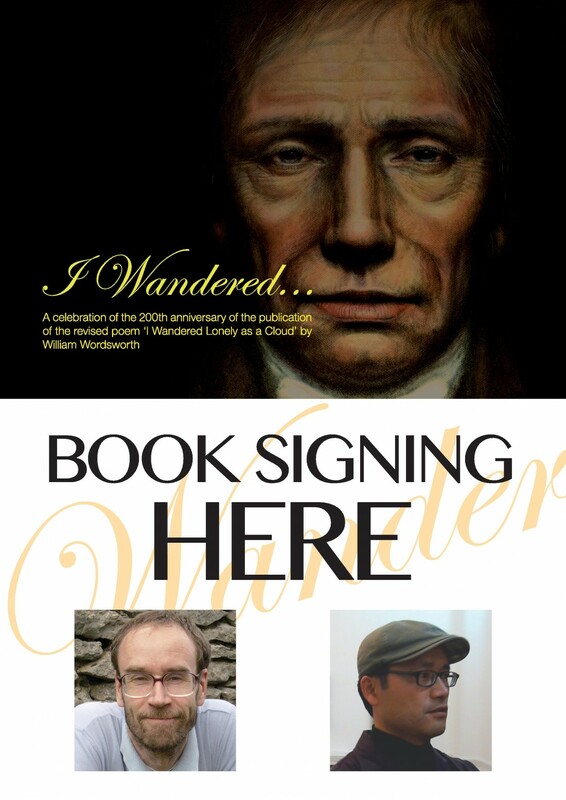 Gary and Hideyuki will share their thoughts on the influence that Wordsworth and Rydal Mount had on their respective work, and Gary will perform some of his poems. Followed by a question and answer session. Signed copies of the limited edition book will be available at £10 each. Wine and soft drinks will be available at this event.